AFA Launches PetSmart Boycott - Joe.My.God. The American Family Association, which says it wants corporations to “remain neutral” in the culture wars, has launched a boycott of PetSmart for remaining neutral. For years, PetSmart has refused to use the word Christmas on its website, in television commercials, newspaper ads and in-store promotions, despite tens of thousands of consumer requests to recognize Christmas and in spite of repeated requests from AFA to do the same. Want proof? Go to www.PetSmart.com and type “Christmas” in the search bar. As of today, the website brings up zero results, although the company’s website is clearly marketing to “Christmas” shoppers. At PetSmart, you’ll find a “Holiday Shop,” a “holiday” wish list and plenty of “holiday” items, but you won’t find “Christmas.” Ironically, PetSmart had no problem with saying Halloween though. They promoted their “Halloween Shop” very heavily for weeks in October. So why are they so afraid of Christmas? 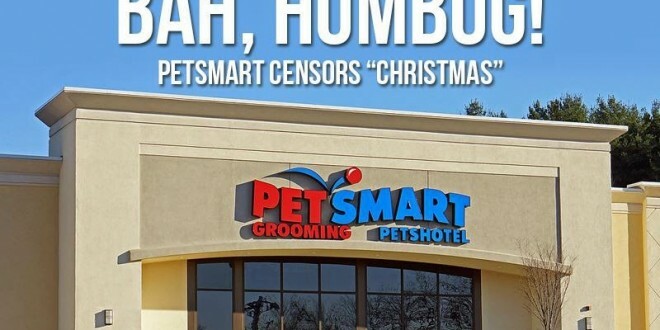 PetSmart is censoring the word Christmas, pure and simple. Yet the company wants all the people who celebrate Christmas to do their shopping at its stores. Until PetSmart proves it recognizes Christmas by using it in their newspaper, radio and television advertising or in-store signage, the boycott will be promoted throughout this Christmas season. The AFA claims to have intimidated “almost all of the nation’s largest retailers” into promoting holiday sales with AFA-approved language. Today they are calling on their supporters to deluge the PetSmart corporate office with phone calls and to rain down abuse at the company’s Facebook page.